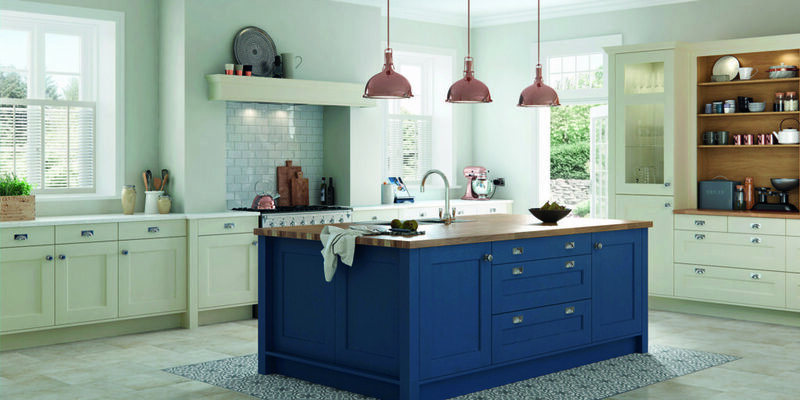 Just launched by The Kitchen Facelift Company is Painted Kitchens & Co – a stunning new range of on-trend renovation styles featuring painted wood, mono or contrast colour kitchens in soft pastel shades, solid work surfaces, open shelving and copper accessories. Cleverly avoiding the need to replace your existing kitchen, this fantastic Cornish company will expertly replace and upgrade all visible surfaces with new painted doors, drawers, pelmets, plinths, panels, insets, shelving, tiling and worktops, creating a completely new look without mess, fuss or disruption. Or, with a specialist painting process, they can turn your dark, tired kitchen into a light and bright modern space, ideal where the quality of your existing panels is still good! With an unlimited choice of colours and a great range of styles from a leading UK manufacturer, top quality wood doors are supplied within just three weeks, with low direct sale prices. "...turn your dark, tired kitchen into a light and bright modern space..."